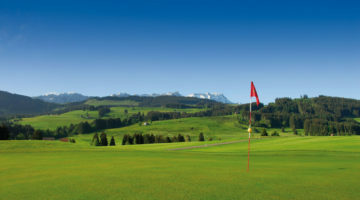 The rolling green hills of the principality of Waldkirch are the home of the most diversified Golf Park in Switzerland. 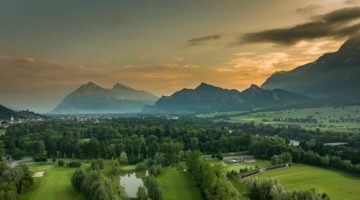 The 36-hole course is ideal for players of all skill levels, and the panorama over Säntis and the other peaks of the Alpstein Massif is perfectly captivating. Different permutations of play allow each game to be a new challenge. 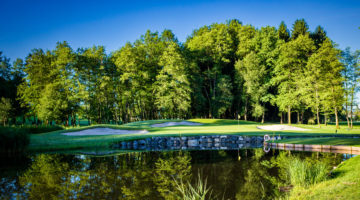 Come and enjoy the wide range of course combinations amid idyllic views with a game at Waldkirch Golf. Practise Center with driving range: 42 sheltered, 70 open tees, 3 putting greens, 3 pitching/chipping greens. Members of ASG Golf clubs, members of an international recognized Golf club, ASGI and Migros GolfCard-Members are always welcome. Players with an international recognized Club membership or an ASGI- Club membership need a Handicap 36 or less. Players with the Migros Golf card and a Course Permission, ASG-Members with Course Permission are allowed.